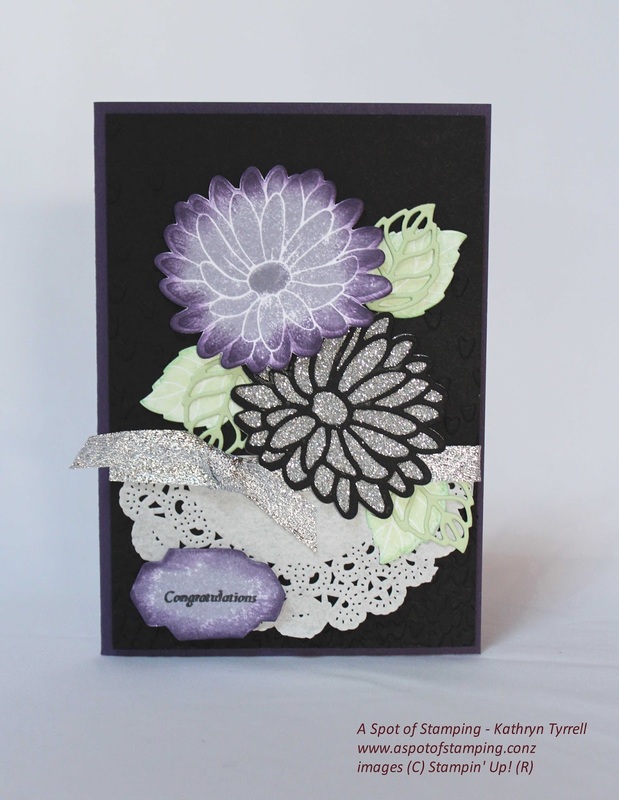 You can just see in the photo (to the right of the silver flower), where she has embossed the black layer with the Falling Petals Embossing folder to look like tiny hearts. Purple and silver were our wedding colours so Mum has done really well. I love this card and Mum has used this great set which is available in a bundle called Special Reason to make it.